Gaming Grounds: Gaming Grounds Halloween Sale! It's that time of the year again - when the air gets chilly, the nights become darker, and the hairs stand up on your arms as you traverse the ravenous twilight. 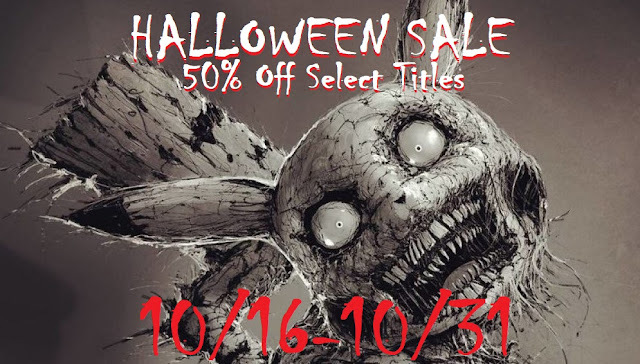 Gaming Grounds wants to help carve a smile on your face with our annual Halloween sale. Take 50% off of terrifying treats like The Evil Within, Resident Evil, Dying Light, Doom, and much more. Don't be afraid...it's only a game.